THE SMARTEST CUSTOMER SERVICE ON THE ROAD. Give technicians a 360-degree view of the customer. Delivering faster, smarter, more personalised service in the field means that your field technicians can keep up with rising customer expectations for customer care at every interaction. 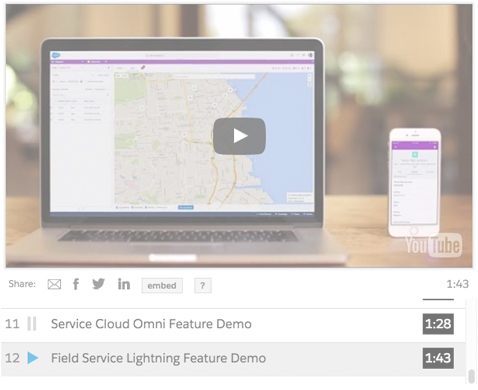 Watch the Field Service Lightning demo to see how.